These are recipes specially created to suit your mood – food that will give you a lift when you are feeling down, add that extra bit of joy to your celebrations, turn a romantic occasion into something fantastic, enhance moments of calm and serenity, and even cover those days when you feel too lazy to cook but need to feed yourself and your family. Get inspired by Alida Ryder‘s enthusiasm, her fresh ideas and her easy to follow instructions and cook scrumptious food, whatever your mood. 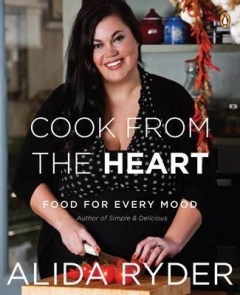 Alida Ryder‘s first book, Simple & Delicious, was published by Penguin South Africa in 2012. Apart from her expertise in the kitchen, she is a food stylist, photographer, award-winning blogger and the mother of twins. Courtesy of Penguin Books, download (click HERE) recipes for DARK CHOCOLATE MERINGUE KISSES and TOFFEE APPLES. 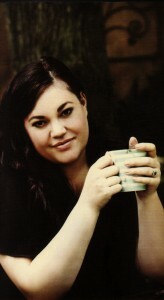 Alida Ryder is the writer, photographer and stylist of www.simply-delicious.co.za, an award-winning food blog. Within a year after starting her blog she had already gained great success and had won two awards at the SA Blog Awards 2010 for Best New Blog and Best Food & Wine Blog. Like Alida Ryder‘s Simply Delicious Food Blog on Facebook, follow her on Twitter or follow her on Pinterest. And also available in Afrikaans – Kook uit die Hart.